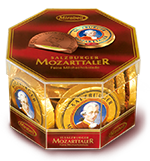 Also from the House of Mirabell comes the delicious Salzburg Mozart medallion: marzipan cream, with light and dark praline cream coated in milk chocolate, promises exquisite pleasure – especially for milk chocolate lovers. 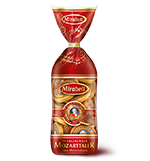 Perfect to share and enjoy every day in the large bag. 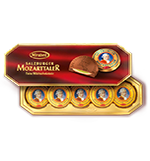 Ideal as a gift, to offer visitors and to share in the practical see-through box. 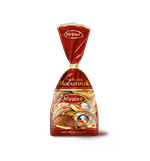 Ideal to give as a gift with the classic octagon pack. 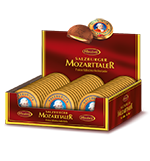 Ideal as a gift with the classic octagon pack. 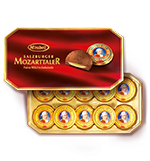 The multipack with individual Mozart medallions.